Cruel Seas is about to launch any day now and Warlord Games have been pushing the boat out when it comes to updates. There is a lot of new content on the official Warlord website and a great tutorials for painting your miniatures up on YouTube from The War Gamer. 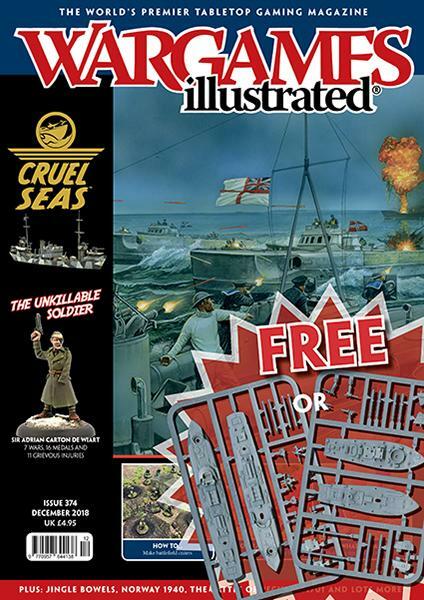 And this months Wargames Illustrated (Issue 374) comes with an overview of Cruel Seas and a couple of plastic ships in the form of either a pair of Vosper MTB boats for the Allies or a pair of E-Boats for the Axis naval forces! These models are bungled with the magazine and thanks to some foresight of packing the magazine in a clear plastic bag, you can take your pick. Be warned though copies of this magazine are already selling out in newsagents and Warlord Games themselves are now sold out! Look for more coverage of Cruel Seas very soon on Gamers Web.